Songkick is announcing a cool new feature for those who love live music.You can now link your Spotify account and receive updates on when your favorite artists are playing in your town. 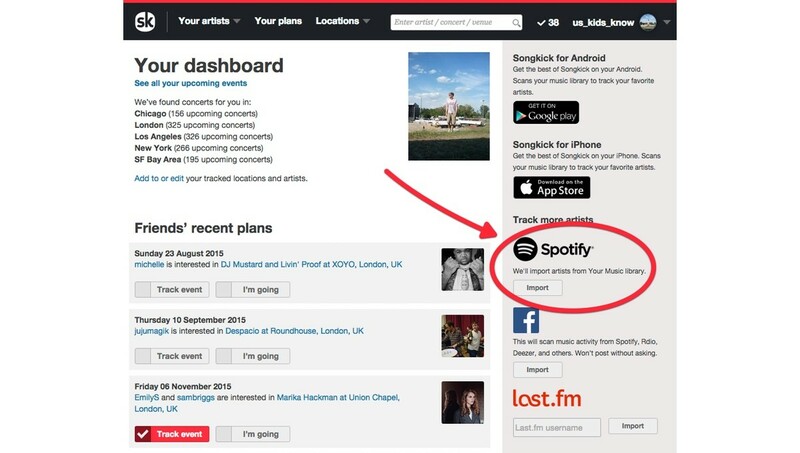 The feature is available to all Spotify users, and is accessible via the Songkick dashboard. It’s not the first time the two services have joined forces. Previously, Spotify artist pages showed Songkick tour date info, and the Songkick iOS app has long had the ability to scan your Spotify playlists to make ticket purchases easier.